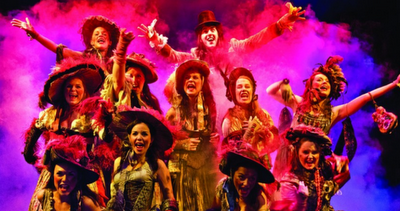 Les Miserables is one of those seminal entities already etched firmly into the history of musicals - becoming ‘now the longest running musical in the world’ (according to the show’s official website) and it isn’t hard to see why. This is classic, grandiose and affecting musical theatre at it’s most raw and bombastic, and this original production, now in it’s 28th year and currently residing at the Queen’s Theatre, London, has lost none of it’s relevance, impact or almost incomparable quality. For a show of so many years the most notable praise must go first and foremost to it’s ambition and spectacle. Where the producers, designers et al could quite comfortably have leant on the shows legacy and repute to acquire it’s audience, instead this current production continually impresses and at times amazes with faultless costume design, remarkable technical artistry and an almost astonishing number of elaborate, complicated sets that surpass practically anything currently on show in the West End. With almost every scene transition comes a moving, turning, growing location; piecing itself together and moving into place, the whole production continually feeling vibrant and alive as a result. The seamless and utterly convincing sense of place that is evoked throughout, from the hushed chambers of the Bishop of Digne through to the bustling, elaborate slums of Paris and militaristic fortifications of the revolutionaries barricade, displays a craftsmanship and scope that is thankfully met by Les Miserables’ sweeping story, engaging and diverse cast of characters, a now-classical score and a genuinely terrific cast bringing it all to life with power, conviction and heart. The story of Les Mis follows released convict Jean Valjean as he attempts to better himself, start his life anew and raise the daughter of a desperate and mistreated young prostitute whom he takes pity on before her death. As the show passes through time and place, Valjean finds himself struggling to escape his past, pursued with vehemence by a vengeful police officer determined to bring him to justice (continually referring to him by his prisoner number), and eventually embroiled in the political machinations and fallouts of the Paris student revolutionaries. 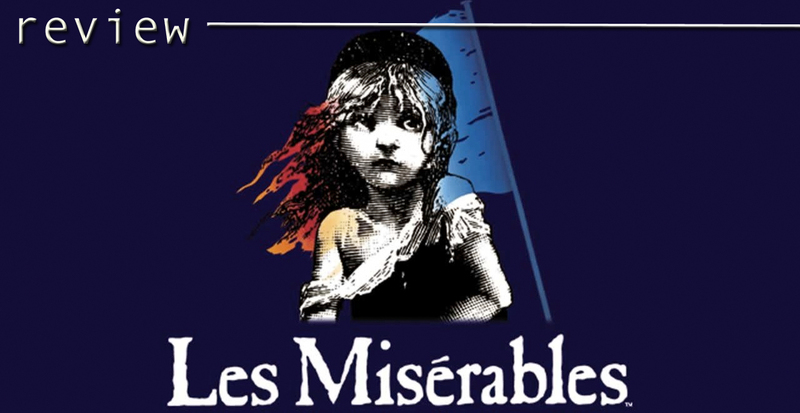 It is an involved, complicated tale that expands out into the lives and trials of not only Valjean’s adopted daughter Cosette but also the dwellers of the Parisian slums, the lives of the revolutionaries themselves and an array of associated supporting characters including the opportunistic, oft-villainous yet ever-entertaining Thénardiers - a husband and wife civilian duo who shamelessly (and hilariously) cheat, con and manipulate their way through proceedings. 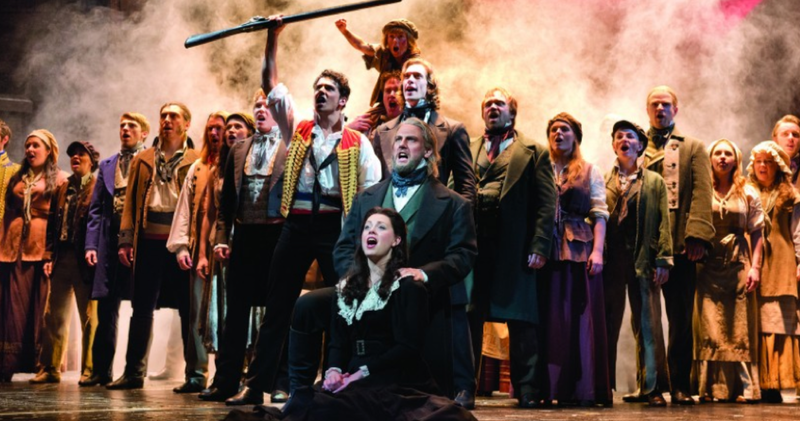 With such a sizable cast and involved story, it is unsurprising that at 3 hours Les Miserables is one of the lengthiest shows currently running on the West End. Yet the vitality of the characters and performances, the involving, intricate storytelling on display, the aforementioned kinetic staging and the impressive fact that almost the entire show is continually musical, with even minor character exchanges sung as opposed to spoken, means the time spent in the company of the show is fluid, well-paced and never anything less than wholly absorbing and engaging. The soundtrack features a slew of instantly recognisable numbers such as I Dreamed a Dream, Bring Him Home and On My Own to more specific yet equally characterful fare such as the Thénardiers comedic tour-de-force Master of the House and the rousing choral anthems of Do You Hear The People Sing and One Day More. 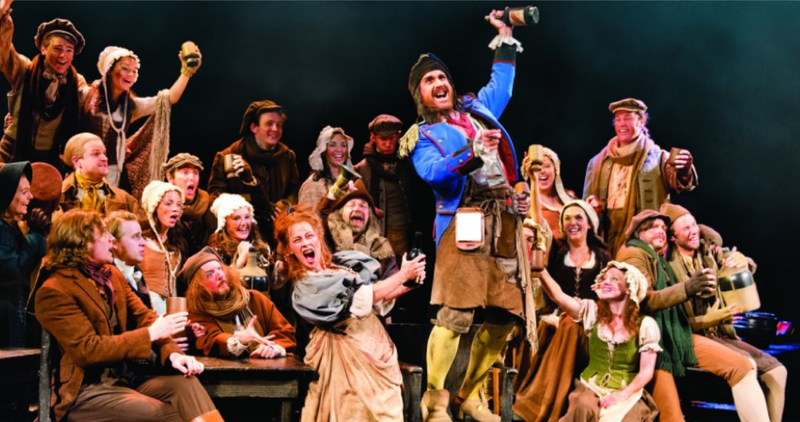 As with the show as a whole, this is pure, classical musical theatre at its apex, a score that is bold, powerful and emanates an air of quality and attainment that few shows can match. To single out any of the company does seem to be doing something of a disservice to show, as the current principle cast impress across-the-board. Sierra Boggess is tender and empathetically desperate as Fantine, thankfully sacrificing raw broadway-esque belting to draw out the vulnerability and trembling despair so key to I Dreamed a Dream, Adam Linstead masterfully disappears with poise and charisma into three very different roles, Danielle Hope is perfectly sassy and streetwise as Eponine yet unearths the depth and heartache behind the bravura, and Gemma O’Duffy is one of several company standouts in a number of minor roles where she continually exudes character and demonstrates some terrific stage presence. In the performance viewed for this review, the central role of Jean Valjean was played by understudy Chris Holland (whose usual role is Courfeyrac) who brought a subdued ferocity to the role, and was faultlessly on-point both emotionally and vocally. A combination of great writing, directing and equally impressive performances helped make Cameron Blakely and Linzi Hateley particular highlights throughout as the Thénardiers, each demonstrating perfect comic timing and physicality, and despite their generally antagonistic roles it was impossible to not be celebrating their tenacity and audaciousness come the end of the show. 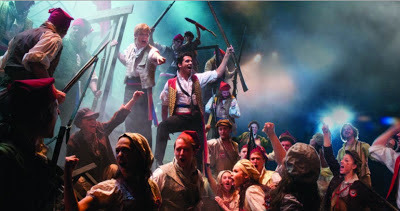 Les Miserables is quite rightly one of the most celebrated musical theatre productions in the long, proud history of not only the West End but musical theatre worldwide. If any of this review seems hyperbolic, it is purely because the standard of what is on offer here is of a generally unmatched standard. The industry is in terrific shape at the moment, with breakout post-modern hits such as Matilda: The Musical and The Book of Mormon showing some of the wonderfully inventive and original directions it can take. 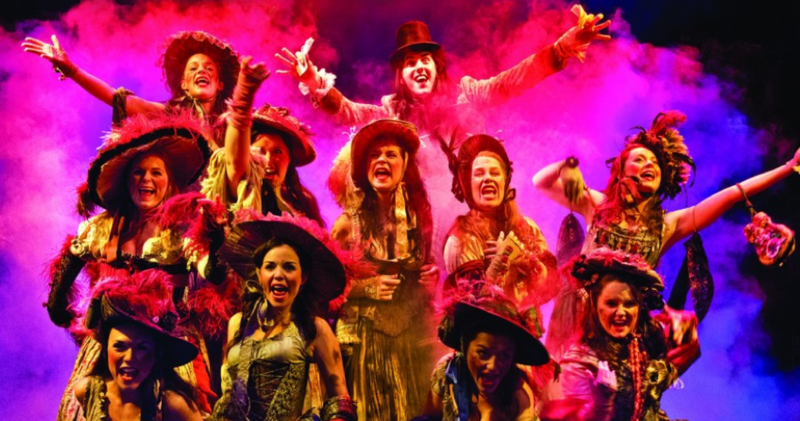 However, as an archetype of brilliant, classical musical theatre, it is cause for celebration that Les Miserables thankfully continues it’s record-breaking run and remains as brilliant and impressive as ever. Sumptuously melodramatic, gloriously overwrought and inexhaustibly epic, the pretenders can remain waiting in the wings, for the reigning king of musical theatre is still going strong and thankfully shows no signs of slowing down. LES MISERABLES is currently running at the Queen's Theatre, London. CLICK HERE for the show's official website for more information and HERE to book your tickets! Alternatively phone the Box Office directly on 0844 482 5160. Press tickets for this performance of Les Miserables were provided courtesy of Raw PR, London. (A)musings Media gratefully acknowledges their generous invitation. Deserves 6 stars!!! I love les mis so much, not seen it in a few years think its stime to go back and see it again! 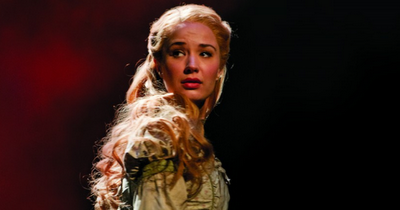 Great review I really cant wait to see Siera Boggess as Fantine. I've been going to see this show for nearly 20 years now and this is probably the best written review of it I've ever read. Good to see the cast are noticing it on Twitter! Well done Kyle.